Please use this thread for Boston Rolling Stones 2013 show planning. Edited 4 time(s). Last edit at 2013-06-13 09:11 by bv. Stones In My Hometown of Boston on My Birthday! Now THAT would be a reason to celebrate!! If only my daughter wasn't starting college this year I might have the ability to plan the party! Anyone wanting to buy me a birthday gift? Hint Hint! Seriously though! I hope anyone in attendance has a great time! Ok, I just called the Holiday Inn in Boston ----$389 a night!! REALLY? So, if anyone finds cheap but clean hotels for June 12, we should post it here. We're getting scalped all over the place! There are lots of hotels within a 20 minutes subway ride of the Garden. The Garden sits on top of a train station. You don't need to stay nearby. Boston hotels are notoriously expensive, unfortunately, there are hardly any deals. If you want, you can stay at the Holiday Inn in Somerville, which is only a short walk and then 3 or 4 subway stops away. It's right down the street from my house. Or REALLY nice people can crash in my living room, LOL. Hello, originally from a city called Chelsea just over the Tobin bridge from Boston, about two miles from Boston Garden. They have two new hotels that are pretty nice, with reasonable prices. 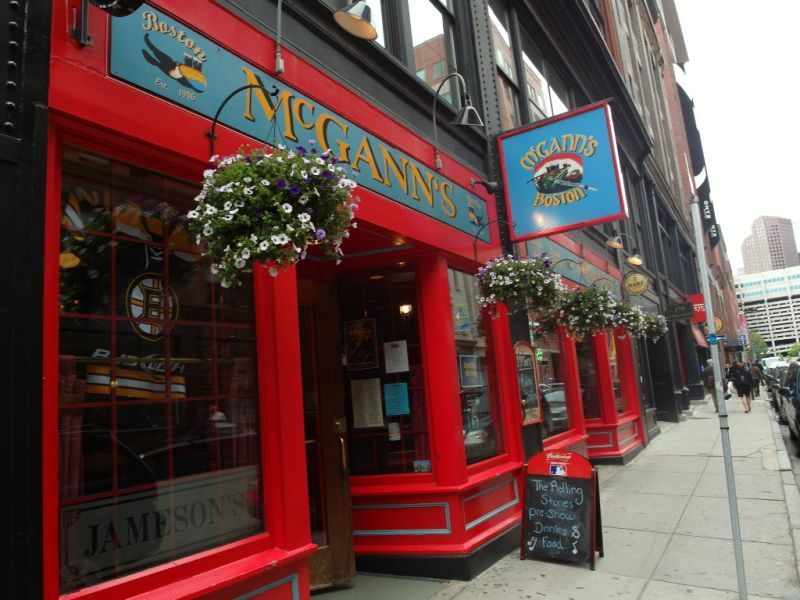 the area is a bit run down , but the rates reflect this as an alternative to high priced Boston. They are called the Wyndham and the other is called Residence Inn (a Marriott Hotel) with very easy access to the Garden by bus, taxi, or to drive, they even have a commuter rail nearby that goes right to Boston Garden = North Station, but not sure of the hours, also only about one mile or so to Logan Airport. I would recommend Taxi (Square Cab Aka Chelsea Cab) especially if you split the fare with someone, and always an option if you miss a bus or train. VerY, very close to Boston, even closer than 90% of the Boston Neighborhoods. May be strange for someone from Chelsea to say, but stay away from Roxbury, Dorchester, some parts of Hyde Park at night, but they are pretty far away from the Garden. In addition, there is a Red Roof Inn in Saugus, at the most around 100 dollars if it is the weekend, need to take a cab or drive if you stay at the Red Roof Inn Saugus (about 6 miles to the Garden)....Parking very, very outrageous in Boston...may be cheaper to take a cab, especially if staying fairly close. Tommy, I actually stayed at the Sommerville Hotel...I will be coming in by bus, no car so too far away. Thanks you though! I second that (about the parking)- crazy prices, and the traffic is mad after a concert. Much better, easier, and probably cheaper to take a taxi or public transportation after the show. If you are near a subway stop, the lines run til around midnight, and concerts at the Banknorth Garden have to end by 11 or so, so you can easily get back to your hotel by subway. Edited 1 time(s). Last edit at 2013-04-04 23:28 by tommyquinn. Haha thats funny about the token machines...happened to me after spending a couple hours in the commons smokin some hash before a Taj Mahal concert at Banknorth Pavillion...the girlfriend and I were getting worried we would miss the show as we could not figure it out...course then we couldn't figure out which line to take. I said Medford earlier but maybe it was sommerville now that I think about it...a La Quinta? same trip. How much YOU charging TommyQuinn? We always stay at the Onyx, a great little boutique hotel steps from TD North. do you two save money by sharing the same handle or something? I was at the June 11th '75 show . It would be cool to add that date as well . Just saw them in Brooklyn . I'm glad it wasn't "The Last Time". I live in The North End Pizza Party at my place ! John, I just called the Onyx, $419 ....per nite!!! YIKES! No deals there!~ I used to stay at a Holiday Inn Express for around $150 per night. Does anyone know of a hotel that charges reasonable rates? You might want to try a bed and breakfast lodging instead, which tend to range between $75 and $250. If you are not driving, some are located near subway lines, which take you directly to the venue. 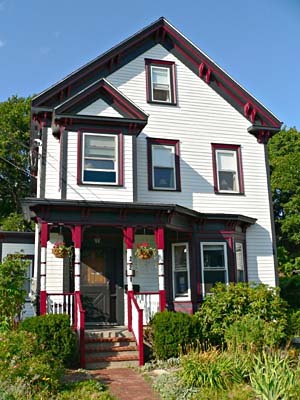 Morrison House Bed and Breakfast in Somerville, $75 to $185. Edited 1 time(s). Last edit at 2013-04-05 01:18 by stonehearted. another suggestion would be to stay in any city that has access to the commuter rail or subway from North Station. The Garden is right above the station. A lot of the hotels that are not in the city do not charge for parking. Then you can drive to one of the train stations from the hotel and take the train in, plenty of parking in the evenings at the train stations (you're screwed during the mornings though). Some of these cities are right off Route 95/128 which is very convenient for those travelling from nearby states. When are the Boston tickets going on sale? If you can, check out Santarpio's in East Boston. Best pizza on the planet! Try The Doubletree on Washington St. The Revere Hotel ( used to be The Radisson ) The Milner , or The Park Plaza . These are all in the Theatre District which is only a few trolley stops from the Garden . Also they're near The 4 Season's where they'll probably be staying ;-) . I recommend Hotels.com (and the like) and bid for a room . Using the above named Hotels . I hope that helps some . Check out my posting above . I name a few hotels or ideas . Edited 1 time(s). Last edit at 2013-04-05 05:23 by RocksOff714. Thanks a lot everyone! I'll check out your suggestions today. I appreciate your help! For those looking for areas near the city, with cheaper hotels, check hotels in Braintree and Quincy, approximately 10 miles south of Boston. Both of these areas have trains that will take to you into Boston with the ability to transfer to North Station ( the stop for TD Garden). Park Plaza ($188)- I am surprised this is so cheap, as it is really nice, and also convenient. 5 stops away, on the Green Line. Maybe 10-20 minutes from hotel to concert. Holiday Inn Somerville ($185) 2 stops on the Orange Line, probably 5-10 minutes, 5 minute walk from Sullivan Station T stop to hotel. You may find better (or worse) rates, I just picked a random travel site and used their rates. Edited 2 time(s). Last edit at 2013-04-05 17:06 by tommyquinn. have they announced when these tickets will go on sale yet? In other news... I just got Paul McCartney tix at Fenway. Whoo hooo! Cool, Fenway is historic and fun, though the sound man gets severely challenged by the odd shape of it. I saw the Stones there twice, and I had a great time.